Inmates sharing their experiences about their life in prison with students. On the afternoon of 21st September, 30 students from Stanley Ho East Asia College joined a visit to the Correctional Services Bureau, or better known as Coloane Prison. Through the visit, students were briefed about the life of inmates and the conditions inmates serve their time for their crime. When the group arrived at Coloane Prison, they were greeted by officers of the prison. Before admission, students were reminded about what would be allowed to do and not to do whilst inside the facility. The officers then escorted the students inside and led them to a room where they were served refreshments and cookies baked by the inmates. Students learned about inmates’ daily life through a short promotional video of the facility and a brief talk by the officers. Officers of the Correctional Services Bureau introducing the facilities of the prison to students. The officers then brought in two inmates to share their stories and their time in jail. This session gave the students some insights on the inmates’ experiences and hardships. 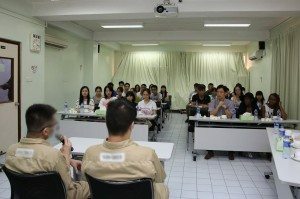 Their willingness to talk about their lives also reflects on how well the caretakers are doing to help inmates become better people so that they may later re-join society. 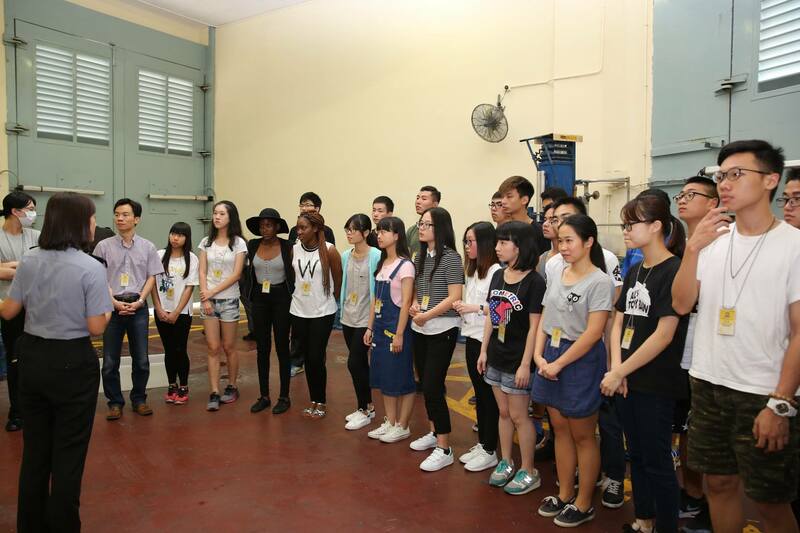 After the sharing, the officers led the students on a tour of the prison facility. They visited various areas, for example, the cell blocks where inmates live, spaces for activities, such as knitting and hand-crafting artworks, as well as recreation areas for their one-hour outdoor exercise every day. Most areas in the prison are however heavily manned at all times. The officers answered students’ questions patiently throughout the visit. Introduced displays of handcrafts made by inmates. 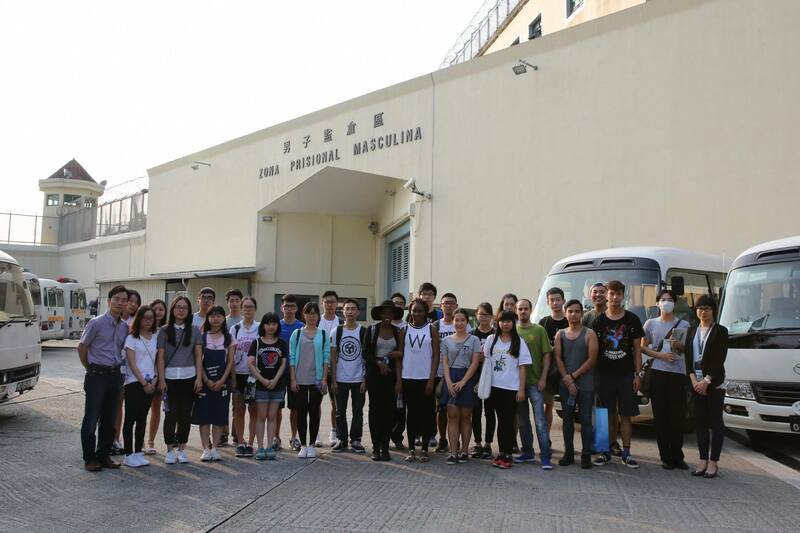 By the end of this trip, students have learned how the prison in Macau operates, and the conditions in which inmates serve their time found guilty by law. 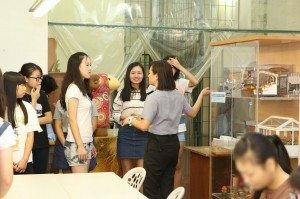 To many participants, it was a truly eye-opening experience which no student would forget in a while, and all the participants were glad to join the visit. A group photo at the gate of Coloane Prison.